Fall Fair time again! And what a delightful day yesterday was for my small community's annual harvest celebration. As I've been doing for eight years now, I once again convened the Young People's Agriculture section. 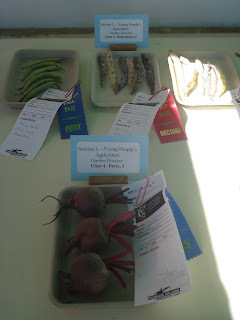 I'm always in a big open-sided tent with all the other children's sections, so I get to witness their imagination and creativity in all sorts of arts and crafts categories along with their food-growing skills and commitment in my section. I get big smiles and hugs from little ones, handshakes from teenaged trophy winners, and lots of oohs and ahs from the visitors impressed by gorgeous, healthy fruits and veggies — not to mention giant zucchinis! Again I was reminded of the importance of teaching our young people how to grow food. I'm so convinced of the significance of this shift in our culture, our societies and our education systems that I'm presenting on it at the upcoming World Environmental Education Congress (WEEC 2017), being hosted in Vancouver, Canada in September. The climate change crisis, largely ignored by education systems in North America, is changing everything, but especially our food security (an issue largely ignored by North Americans). Climate disruption is leading to droughts, floods, heat waves, extreme weather events, negative impacts on yields in all major food-producing regions, crop failures, food shortages, volatile food prices, food riots, famines, conflicts, revolts, and starvation. For the last 10,000 years, human beings have evolved into a species dependent on agriculture, and agriculture depends on a stable climate — which is now disappearing. Developing resilience by learning how to grow food, build soil, collect rainwater and generate energy seems to be quickly becoming more important than learning to read, write and do math. 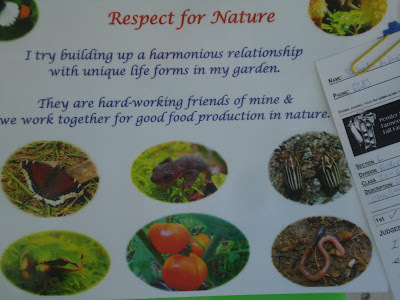 A few years ago, I was part of an environmental education workshop where someone derisively said, "Sure, we can teach kids to grow a cup of beans, but ...." What he added next was all theory and no dirt on hands (or hands in dirt). I realized then that this person must not understand global warming, carbon feedbacks and climate disruption. The greatest threat isn't melting Arctic summer sea ice, rising sea levels or even extreme weather events — it's what is going to happen to agriculture and our food security as these impacts worsen. We can't grow food overnight, and nor can we learn to grow food overnight. That "cup of beans" — if it is grown in a place that has been ravaged by climate chaos by someone who learned young how to "grow food in a changing climate" might someday mean the difference between life and death ... literally. As the climate change emergency deepens, today's children need to learn the skills that will help them create their best possible future. Offering food-growing opportunities is one of the most valuable gifts we will ever give to young people. Let's provide them with as much access and exposure to — and experience in — home and school gardening and community farming as possible, throughout the school year and into the summer. 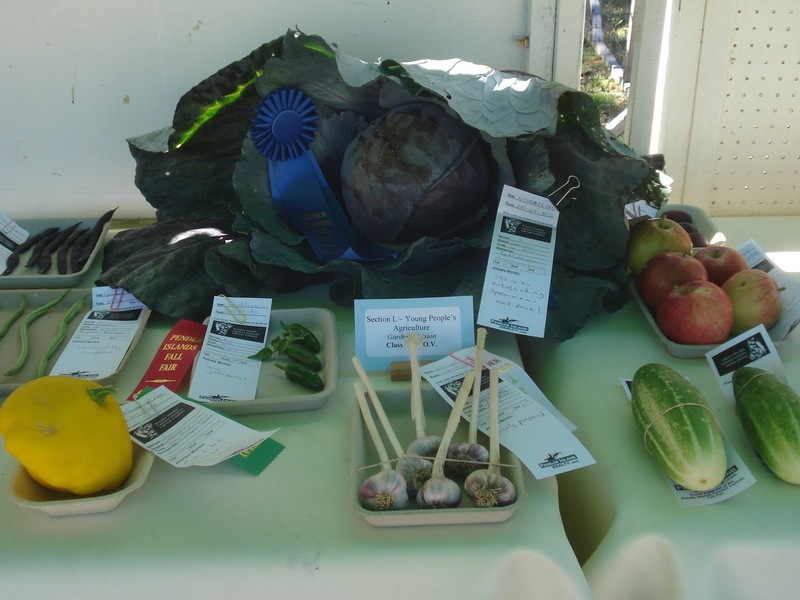 Encouraging their entries at your local Fall Fair is one way to do that. Wonderful work you are doing.